Work uniforms are an essential part of workplaces throughout many different industries. From the mechanic working on your car to the person brewing your morning coffee, different uniforms are a part of everyday life. If you are looking to redesign your company uniforms or design uniforms for the first time, fabric selection is a particularly important part of the process. 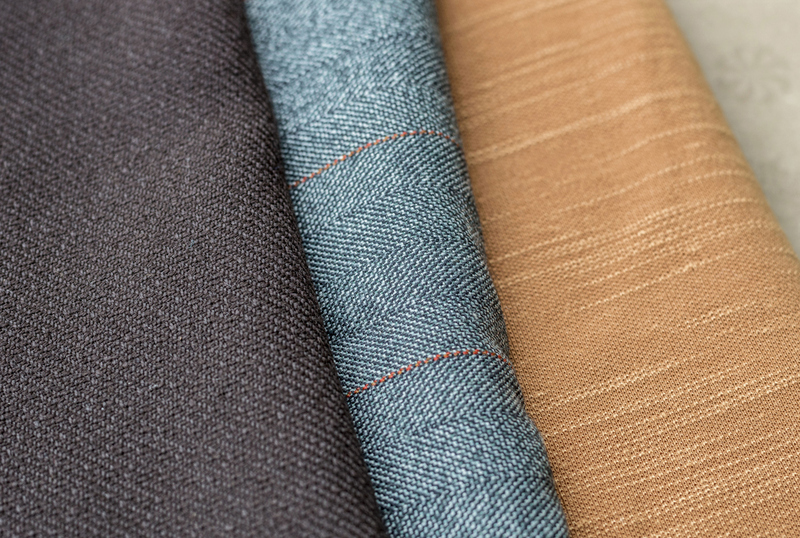 Choosing the right fabric is about more than aesthetics—here’s what you need to know. If your work uniforms are a bright color, you need to make sure that the color stays bright through many washes. The fabric that you choose should lock color in for long periods of time and be naturally resistant to fading. If you don’t purchase the right uniform fabric, your employees will be wearing both bright and faded versions of the uniforms and look less professional than you would like. How Easy Is It to Wash? If you rely on your employees to wash their work uniforms, how easy are they to wash? You should choose fabrics that are easy to clean and maintain. If you choose fabrics that are annoying or difficult to wash, employees will either do a poor job cleaning them or become frustrated at how hard they are to clean. Your uniform fabric should be stain resistant and easily get rid of dirt, but also be strong enough to withstand months of washing. If you are concerned about the fabric choice being one that is difficult for employees to keep clean, you can always partner with Chesapeake Uniform for uniform rentals that include professional cleaning. What Are Your Workplace Conditions? Many different employee uniforms change slightly throughout the seasons if employees work outside, but some indoor employees need different uniforms altogether. Consider the conditions in each part of your business. If your outdoor employees are wearing uniforms made from thicker fabric and the cooks in the kitchen are wearing the same thing, you are creating a lot of discomfort for those in the hot kitchen! Think about all of the different areas in your workplace and what fabric would be best for each situation. Blended fabrics are a great flexible option for a year-round uniform that is comfortable in the summer and not too breezy in the winter. Finally, the style that you want for your uniforms might dictate what fabrics you can choose from. Some styles do not lend themselves to more relaxed fabrics (and vice versa).